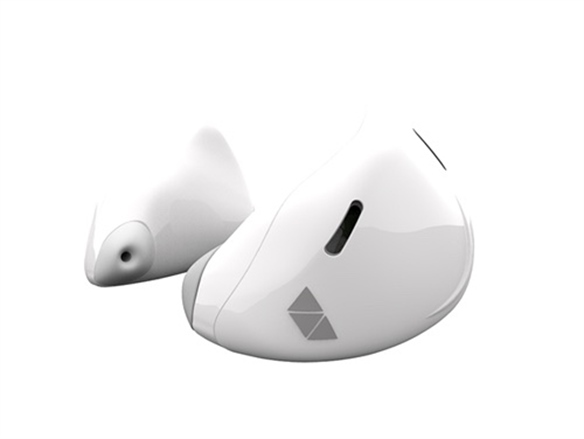 The ear is winning attention in the wearables sector, with a slew of smart ear devices coming to market. 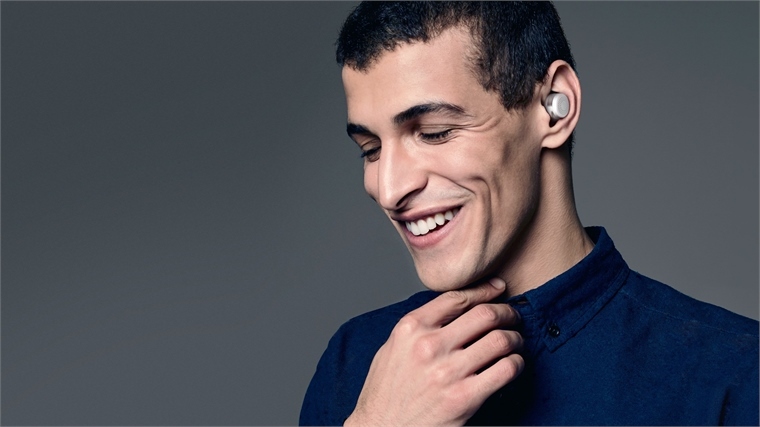 These include enhanced Bluetooth earbuds (Sony’s upcoming Xperia Ear), dual activity monitors/music players (Samsung’s Gear IconX, Bragi’s Dash), multifunctional ‘in-ear computers’ (Doppler Labs’ Here One) and an instant-translation device (Waverly Labs’ Pilot). All work in tandem with mobile apps. 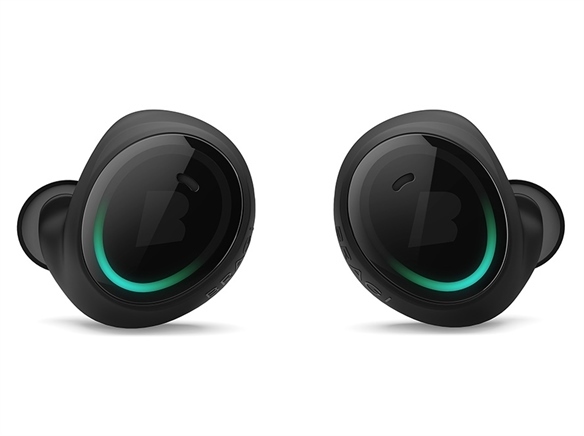 Wireless Earbuds: Samsung’s Gear IconX and Bragi’s Dash, which both launched this year, play music and track activity and heart rate. To fine-tune the fit, Samsung customers get three sizes each of a ‘wingtip’ and ‘eartip’. 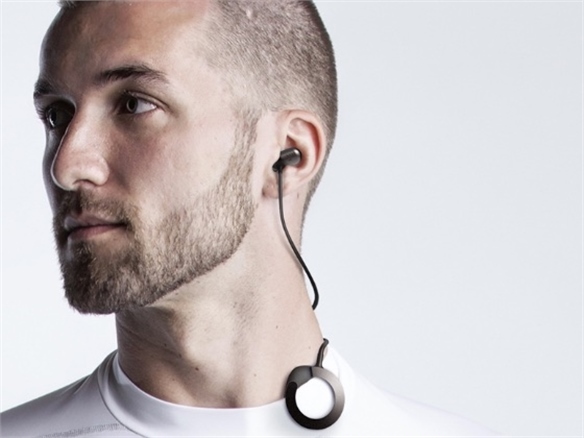 German company Bragi, which launched Dash with the help of over $3m in Kickstarter funding, offers four silicone FitSleeves, which stretch over the black or white earpieces. 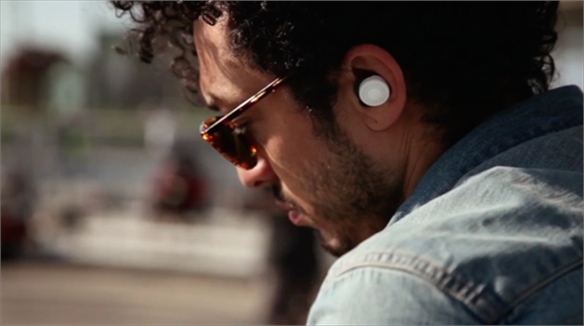 Users of either device can tap or swipe touch-sensitive panels on the earbuds to control different functions. 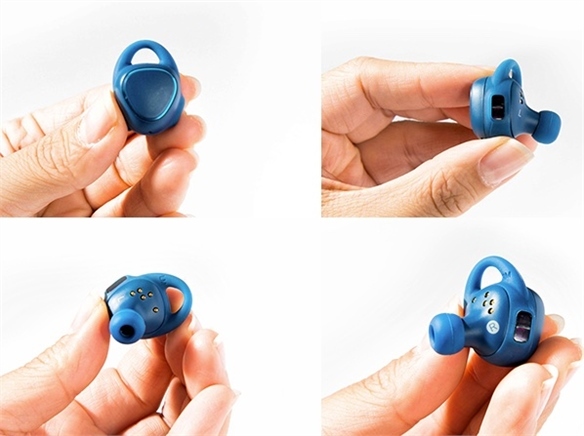 Magnetic pins on Samsung’s blue, black or white earbuds clip into their eyeglasses-style plastic case, which is also a charger – LED lights signal when the earbuds are charged. 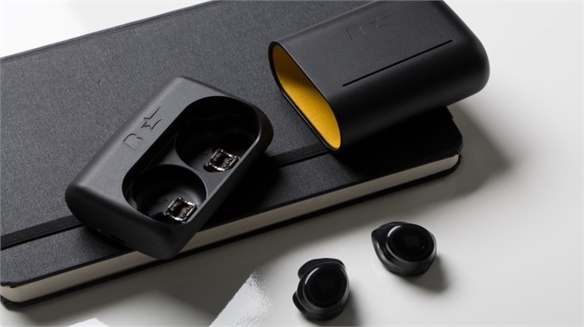 Bragi’s metal case also doubles as a charger. 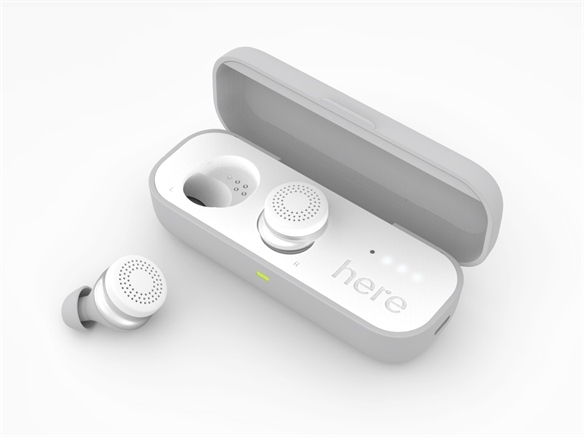 San Francisco-based Doppler Labs is planning a late 2016 release for its Here One earbuds, which can enhance hearing (reducing unwanted noise and amplifying speech), access smart assistants like Siri, and more. Here One’s black or white earbuds, which borrow from an Apple aesthetic, lack touch panels since they’re controlled by a mobile app. 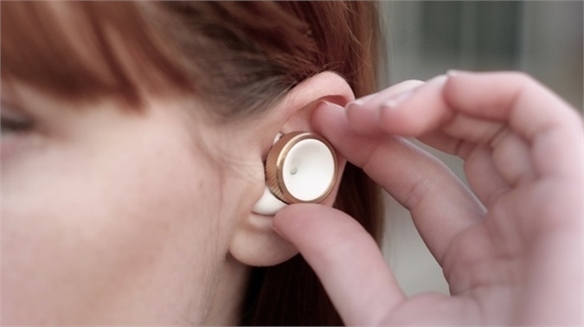 The earbuds come packaged in a matching black or white clamshell case. 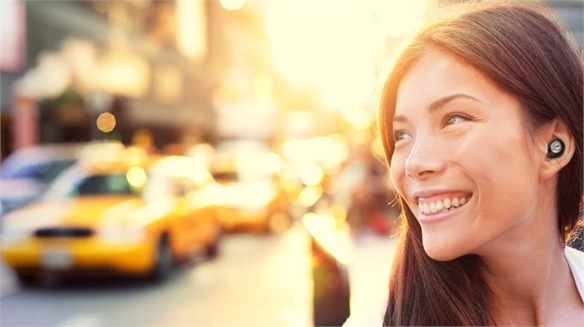 With its Pilot earbud, New York-based Waverly Labs promises to achieve real-time translation by integrating machine translation and speech recognition technology. Due in May 2017, the comma-shaped earbuds – designed to “hug the curves of the ear without being obtrusive” – come in bright red, as well as black or white. 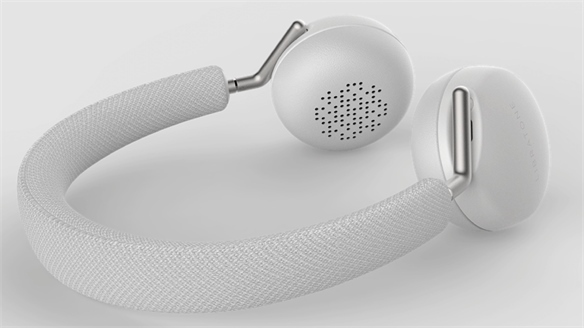 Only one is needed for translation, but Waverly will sell them in pairs, so two people can engage in translated conversation, or a single user can listen to music. 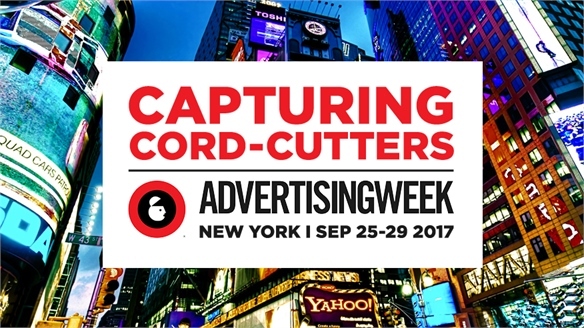 Corded Earbuds: US company LifeBEAM attaches black earbuds to a ‘hanging pendant’ that fits around the neck for its upcoming Vi, an ‘AI personal trainer’. 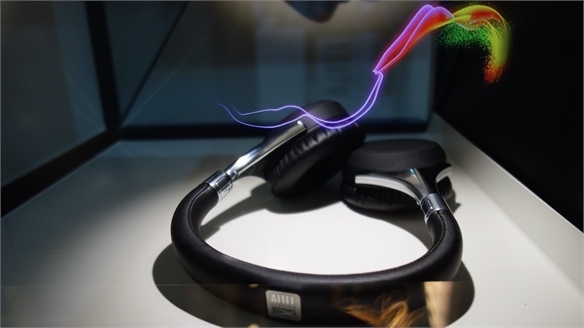 Magnets in the earbuds can connect them, thereby freeing up the ears when the Vi isn’t in use. 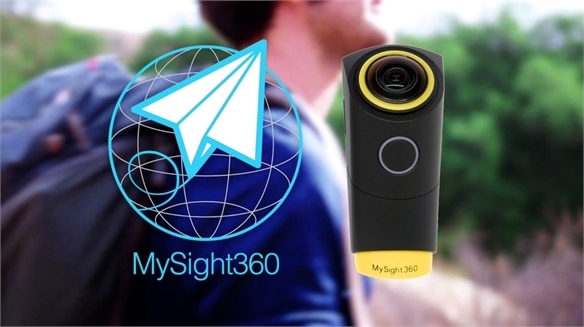 A recent Kickstarter campaign for the product raised $1.7m. See also Millennial Fitness Update. 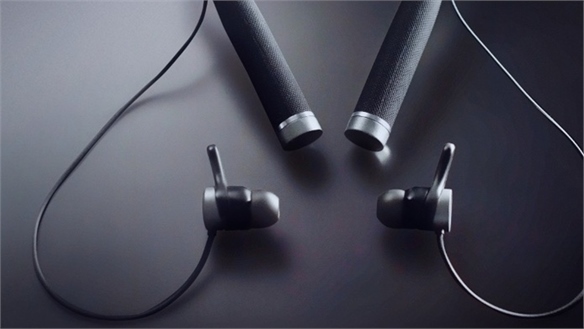 At CES 2016, Fossil’s California-based fitness-tracking company Misfit announced its first hearable, the Specter: small magnetic earbuds are connected by a cord to a square plastic case that houses the tech necessities (a Bluetooth radio, accelerometer and battery). The user clips this casing to their clothing, and a set of control buttons are integrated into the cord. 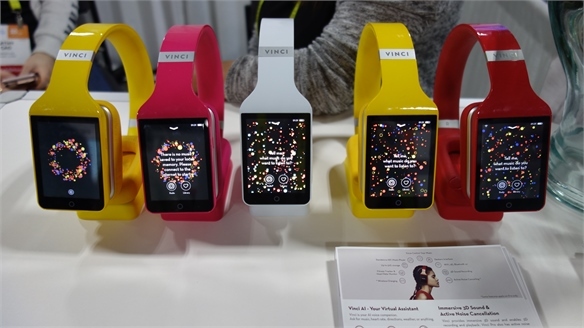 Misfit, known for its sleek design, has not yet specified a release date. 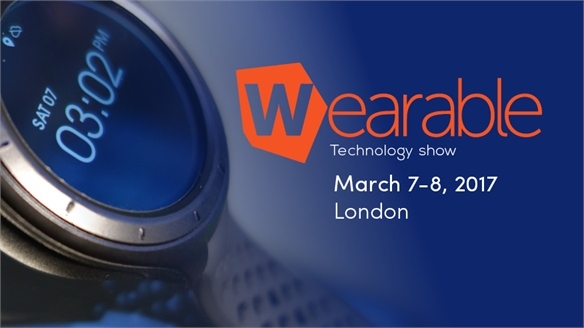 See also CES 2016. 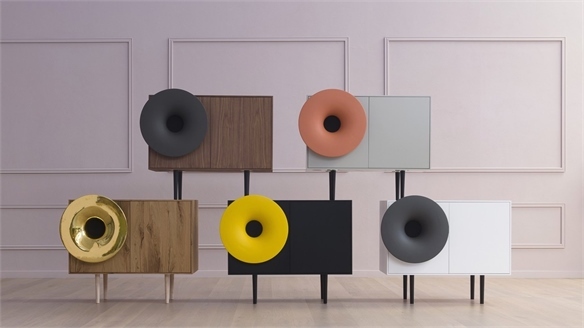 Museums Explore Sound as Material Museums Explore Sound as Material Sound is currently in the spotlight at several design and art institutions, which are delving into the concept of sound as a design tool, material and emotional trigger. This aligns with a growing emphasis on products and environments that aim to optimise or engage multiple senses. 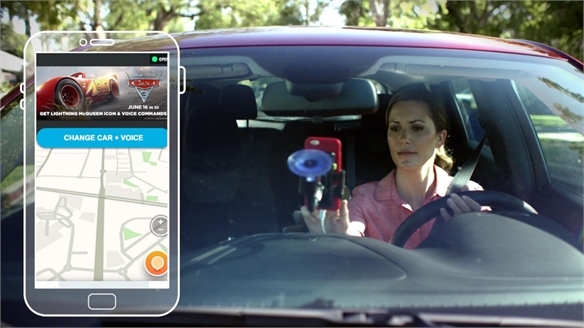 Disney & Waze: Characters in Transit Disney & Waze's Character Moments Crowdsourced navigation and traffic app Waze is promoting Disney's upcoming Pixar Studios film Cars 3 by making the film's characters part of the driving experience. Stylus' Top 5 Start-Ups: Jan 2017 Stylus' Top 5 Start-Ups: Jan 2017 We've scoured the globe to find the most innovative and exciting start-ups and early-stage businesses. Here are the top five that caught our eye in January 2017. 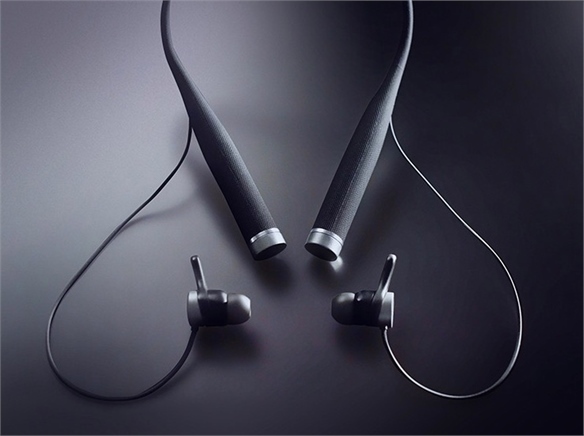 Audio Set Free: Q Adapt Headphones Audio Set Free: Q Adapt Headphones Designed for hectic city life, the lightweight Q Adapt On-Ear Headphones by Danish audio brand Libratone allow users to opt in or out of hearing external sounds while listening to music. 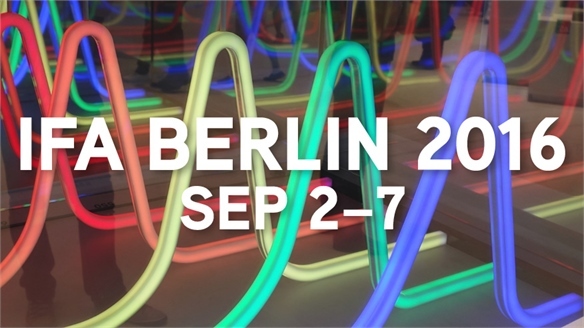 IFA Berlin 2016 IFA Berlin 2016 The largest consumer electronics show in Europe, IFA spotlights new releases from a wide range of global brands. 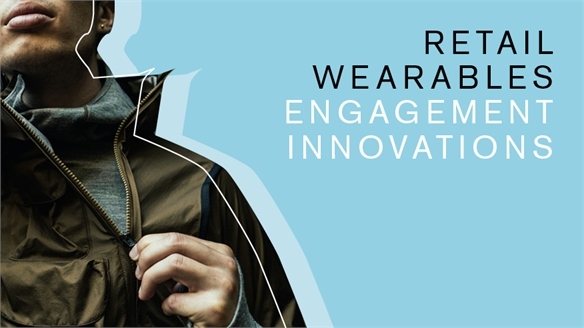 Our reports highlight key product launches – from adventure-oriented wearables and robot assistants, to multipurpose home appliances – along with innovations in colour, material and finish. 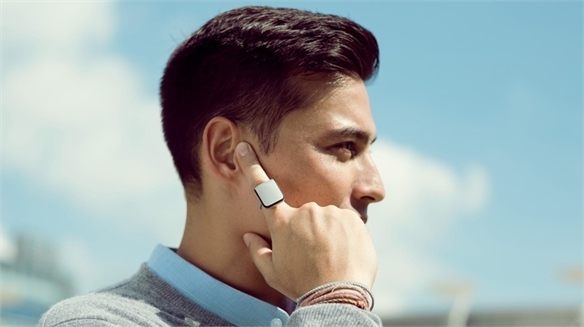 Nimb: Sophisticated Safety Wearable Nimb: Sophisticated Safety Wearable Nimb is a smart ring with the sole function of ensuring personal safety. 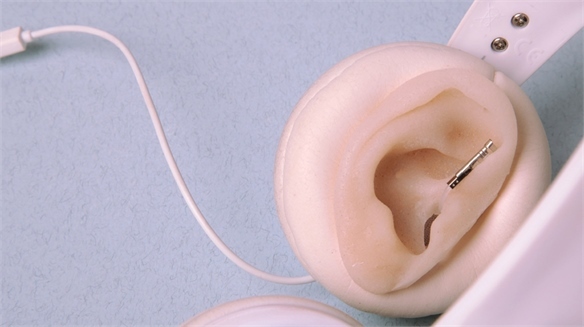 Hearing Your Health: Sensory Augmentation for Wellbeing Hearing Your Health A range of conceptual implants from Central Saint Martin’s graduate Lesley-Ann Daly would allow wearers to track their health using sound. 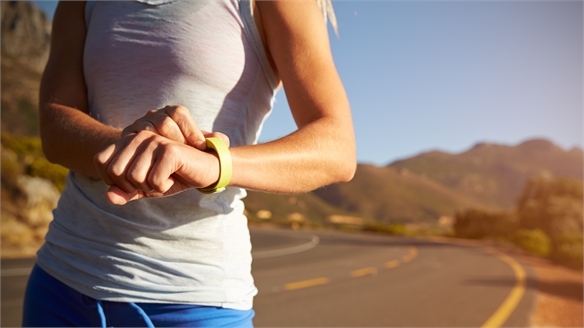 Gen Z: Wearable Tech Opportunities Gen Z: Wearable Tech Opportunities Fourteen per cent of US online youth (aged 12 to 17) currently use a wearable device, according to a recent survey from Boston-based technology and market research company Forrester. 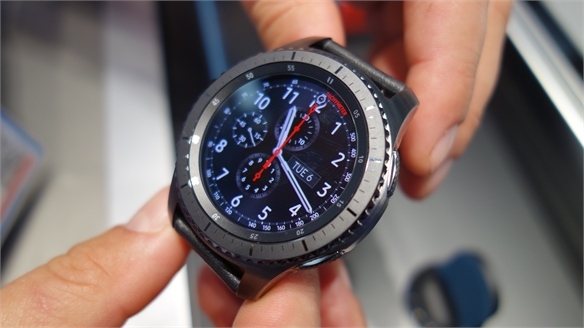 CES 2016 Trends Preview CES 2016 Trends Preview The world's largest consumer electronics event, International CES promises a whole host of new releases, from wearables and 3D printers, to home entertainment and kitchen appliances. Here's what the Stylus team and our expert contributors predict will be big news in January.